This article previously featured in the Weekend section of The Tribune on April 1. Recently, we reviewed the second series of Serial – a weekly podcast which is presently looking at the case of Bowe Bergdahl, a US soldier accused of being a traitor. That's our starting point this week as we look beyond the case itself and at the nature of loyalty and disagreement itself. I've reviewed Stride And Saunter before – in fact, it was one of my shows of last year – and recently the team discussed the nature of loyalty itself in light of the Bowe Bergdahl case. Guest Gabe Brison-Trezise joins regular host Kip Clark to discuss what are the advantages and disadvantages of loyalty. What makes loyalty valuable? Are there situations where disloyalty is an asset? 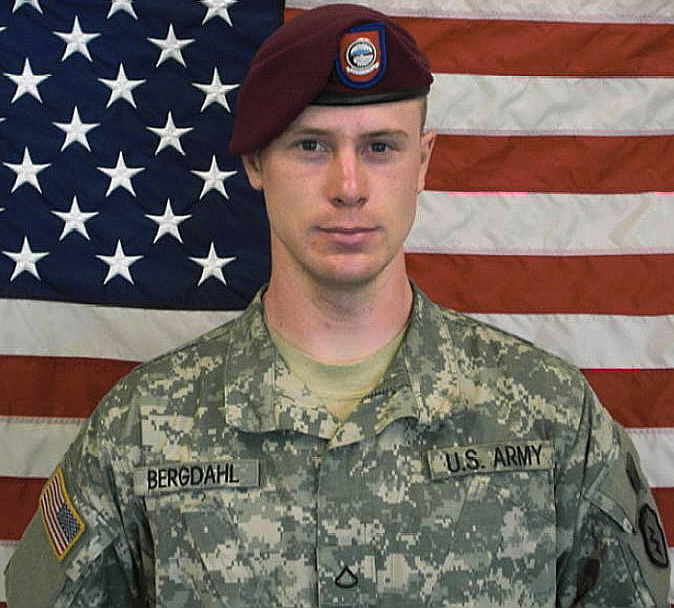 The team discuss such individuals as Bowe Bergdahl, Edward Snowden and more – and how to some these people are traitors, while to others they are heroes for the very same actions. Beyond that, loyalty for the sake of loyalty is discussed, with the hosts considering how important it is for there to be a voice that speaks up and says no where others say yes. In a world where loyalty might see us all running over a cliff like lemmings, a dissenting voice can be the one to have more value than others. It's an insightful listen, as I'd expect from the Stride and Saunter team, and guaranteed to make you think. This is a podcast with a mission – to find solutions – and a recent episode picked up on similar themes to that of Stride And Saunter. Activist Joan Blades guested on the show, hosted by Richard Davies and Jim Meigs, to discuss livingroomconversations.org, a way of trying to have discussions with people you disagree with in order to find solutions. The idea is to set out ground rules, a pre-agreed topic and have hosts on hand to moderate discussions with the aim of cutting through the lines that separate people to have some genuine progress. As Joan says, "One of the problems progressives have right now is that if they run into someone who doesn't believe in climate science, they roll their eyes." As soon as you do that, "you've lost your conversation," she adds. "Nobody listens to anybody." There is good advice in here, but most of all it is well presented in a non-confrontational way – the kind of manner you need to get to those solutions. This week, loyalty was very much in the news in the US political scene – with Republican candidate hopeful Donald Trump expressing his loyalty to his campaign manager even as he got arrested for battery on a reporter, while at the same time saying he might not remain loyal to his pledge to support whoever the eventual winner of the candidacy race might be. Five Thirty Eight is a much larger website than just its podcasts, but the election podcast team sure hits the spot on the issues of the day. Packed with statistics and analysis of what those mean, the team clearly sets out the situation and its ramifications. The latest episode looks at the momentum of candidates and whether the misogyny of Trump will hurt him in the general election if he makes it, but an older episode might be worth listening to more in the context of this week's developments – an episode looking at violence at Trump rallies. The show is expertly produced – as you'd expect from a team as professional as this – and if you want a one-stop shop to gain a perspective on what is happening in the US political battleground, then this, I might suggest, is well worth your loyalty.